If you’re looking to induce some serious FOMO in your Instagram followers during your next New East visit then you could do worse then heading to the nearest botanical garden. The region might not be associated with verdure in the minds of many, but it boasts plenty of chlorophyll-rich spots in which to pose for your selfies. Here are seven of the best. If you judge by Instagram followers, then Aptekarsky is the most popular botanical garden in the world. Whether it’s down to mass bot following or not, the garden itself is definitely worth a visit, spreading over a large park with a pond, hills, gardens and several conservatories. During the summer it hosts “open air subtropical live concerts”. Located just north of the resort town of Batumi on the shore of the Black Sea, this botanical garden is rightfully described as a local treasure: you’ll find everything from bananas to eucalyptus to Japanese fir trees as well as amazing views of the sea. The vast area of the garden is separated into several climate zones and a walk through them can take up an entire day, so plan accordingly. While not technically a botanical garden, this roof top patch measures over one hectare, making it one of the largest roof top gardens in Europe, and is home to over a hundred species of plants. It is separated into two parts, with the Upper Garden only open to the public between April and October. The University of Warsaw also has a traditional botanical garden, situated at ground level, but come to the roof top for the additional treat of views over the Vistula river. This large complex (over 10 hectares) is the oldest botanical garden in Poland and is home to a large orchid collection, a giant lily, an arboretum and a Polish plant collection, as well as a medicinal garden. Some of the conservatories date back to the 18th century — make sure to locate and admire the 300-year-old Jagiellonian Oak. Fields of lavender and olive groves are not necessarily the first things that come to mind when you think of the New East, but Park Histria Aromatica, located near the Croatian town of Bale, in Istria, will change your mind. While not officially a botanical garden, the park houses a vast selection of indigenous aromatic and medicinal plants and spices, as well as olive trees and vineyards. As you arrive you’ll be equipped with a map and can wander around the truly Mediterranean landscape of the park. Sat a short drive out of Dubrovnik, this arboretum is now particularly popular with tourists after appearing in the TV series Game of Thrones; it’s never too busy, though, because of its location far from the main tourist hubs. It was originally set up as the gardens of the summer residence of a local patrician family, and while the exact date when the arboretum was founded is unknown, there are records of it existing as far back as the 15th century. 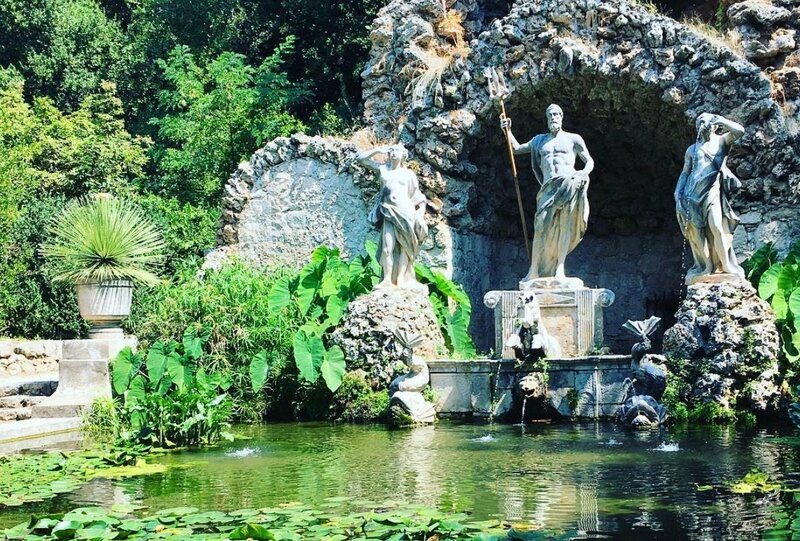 Now it houses an Instagram-famous fountain with sculptures of Neptune and nymphs, plus some impressively old and large oriental planes, with trunks measuring up to five metres in diameter.